Hubba Hubba I liked this tent and I apologize for the poor play on words. 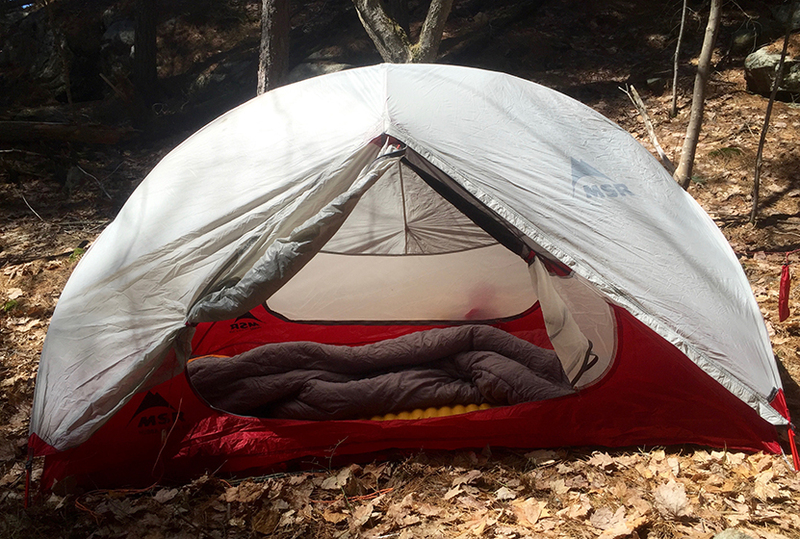 Several trips into its reviewing and very impressed with its weight, performance and livability. The Hubba Hubba NX to be specific is the new version of the Hubba Hubba which received its upgrades in 2014. 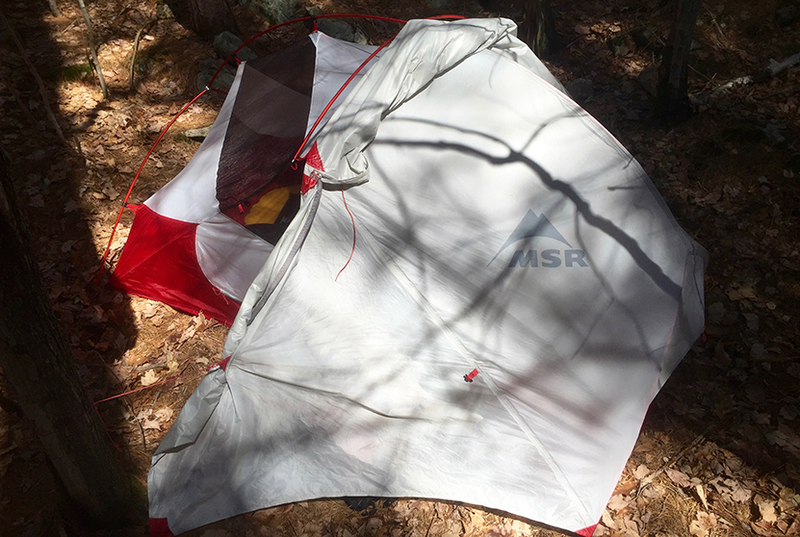 MSR put a lot of new materials and function into this tent while keeping a similar pole design. Weighing in at 1588 grams it is light weight but highly livable. 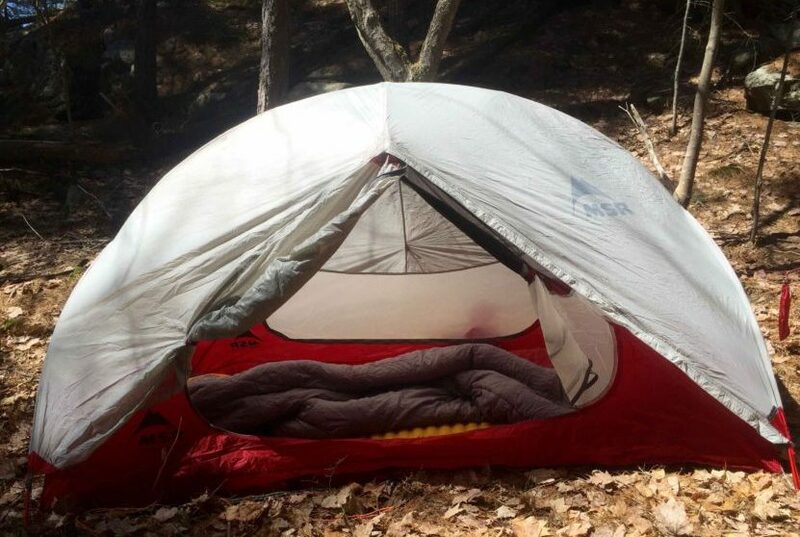 Sporting two separate side entrances with spacious vestibules it is more then adequate for two person backpacking and at such a small pack size it is not unheard of to be used as a solo tent. With many options to choose from its like 2 tents in one. It can be set up with or with out the foot print or going the other way and adding the not include gear shed which functions as a large vestibule. 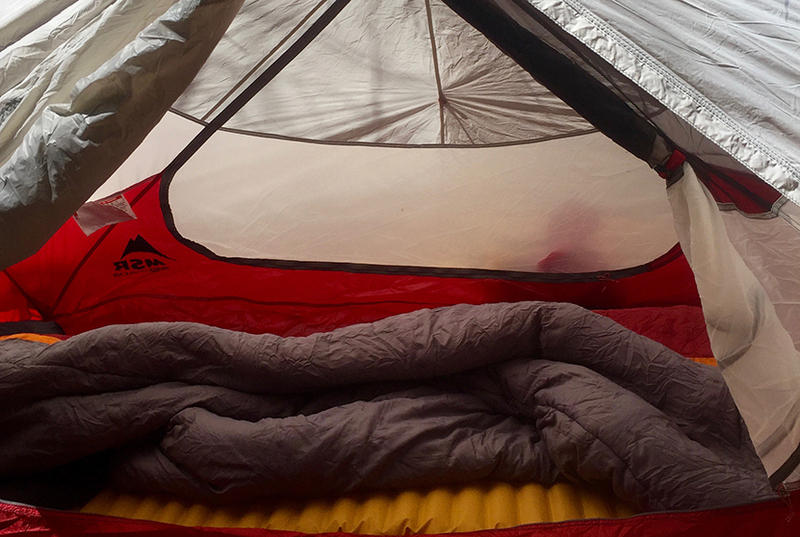 The hubba hubba is a superb tent and worth every penny of investing. 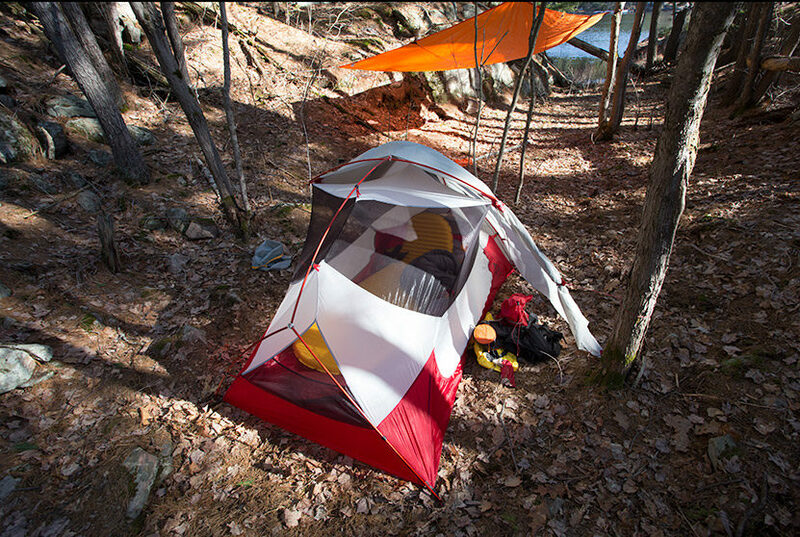 This tent easily earns its title as a light weight backpacking tent. Its 1588 gram weight packs down to slightly larger then a 1 letter water bottle. But when set up sports two gracious vestibules and two entrances making it easy for two people to have ample space for gear while still very gracious livability. 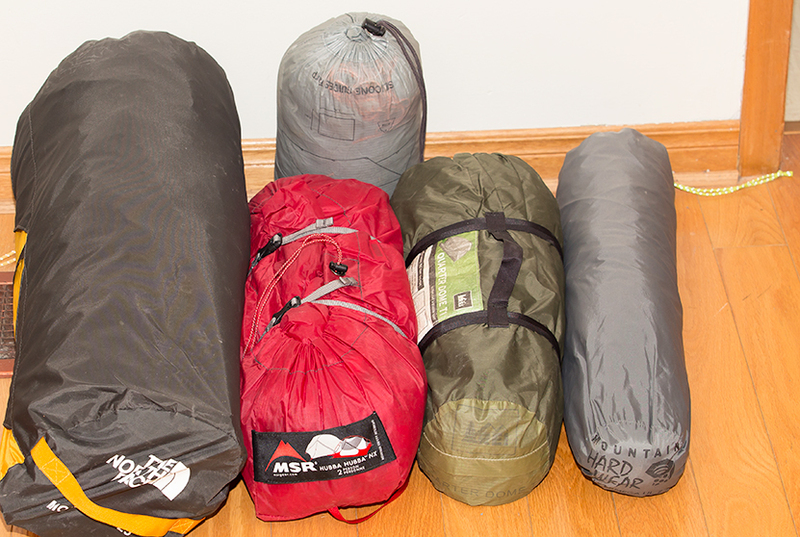 It is very impressive to see the size of the tent that unrolls from its bag. The tent packed up is the same size as my old REI quarter dome one person tent which is no where near the size once set up. It includes the MSR designed top loading bag which works wonderfully. 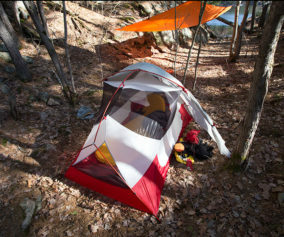 With this tent, gone are the days of rolling the tent as tight as possible only to still struggle to get it back in its back. 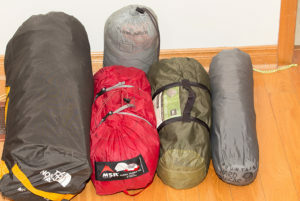 With the top load bag even a lose rolled tent will easily go back in the bag which then can be compressed with the bags compression straps and the size reduced more. 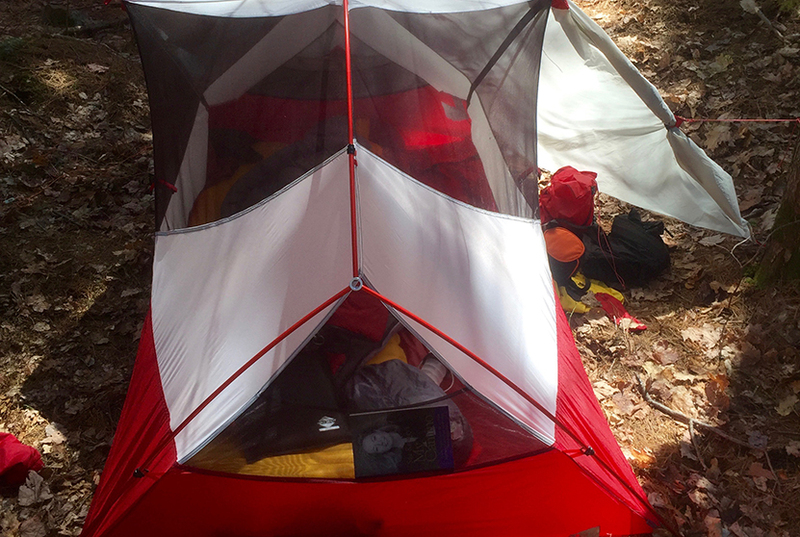 Pack size and weight are two of this tents most impressive features. 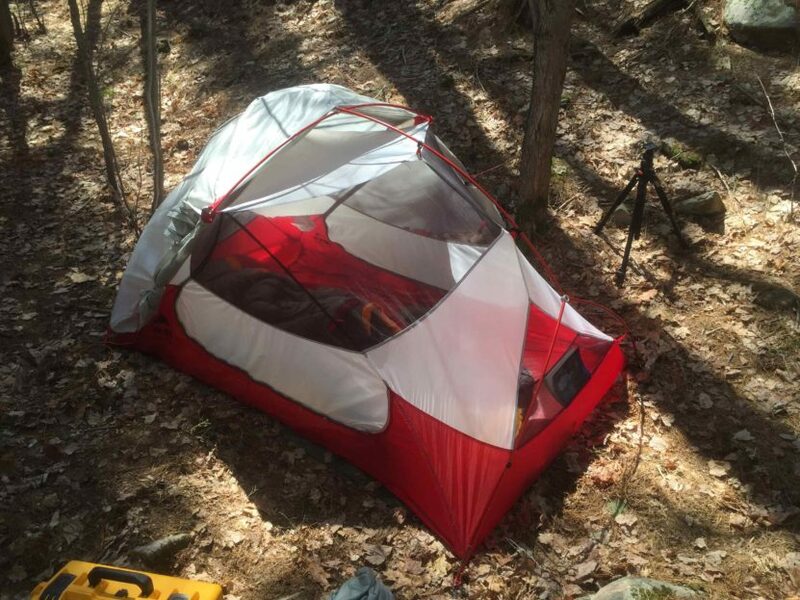 This tent is light weight and takes up little room in a backpack while still providing more then adequate space for gear and livability for two people. 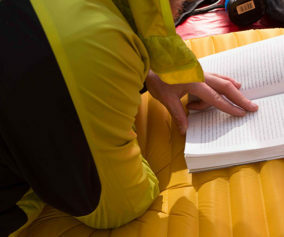 It sports two small mess pockets at ether end of the tent which are large enough for several small items or one large one such as a hard cover book if your brave enough to backpack with a hardcover. 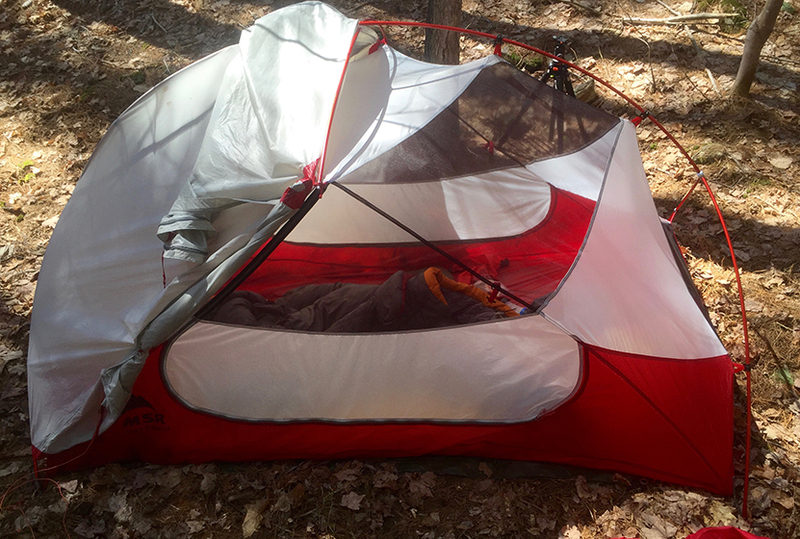 The various pitch methods and two vestibules make it very livable even if pitched light weight with just the fly. 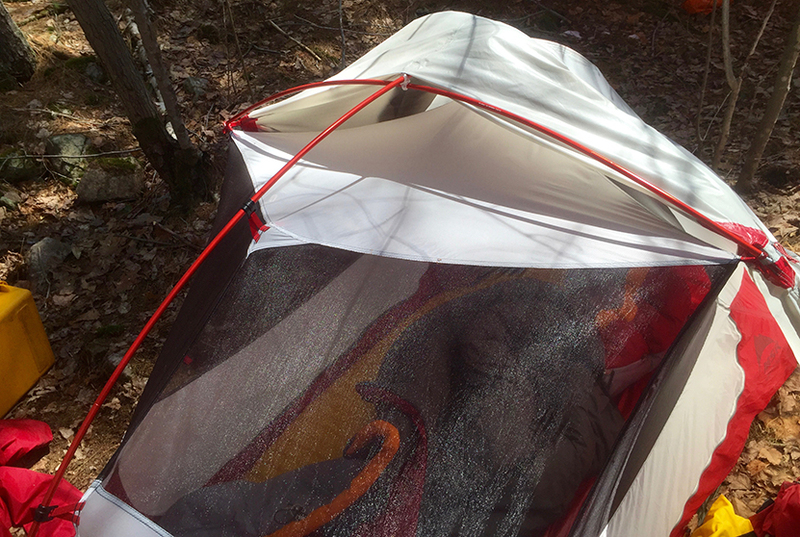 The fly is also designed with rain gutters so you don’t get dripped on going in or leaving the tent. Other options include half the fly rolled up to expose the tent. 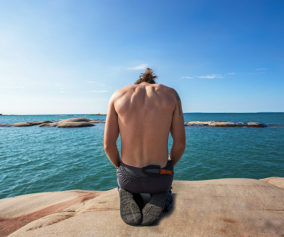 This is an excellent option especially when you want to see the stars but don’t want to have to hurry in the night to set up the fly if it rains. Simply unroll and clip in the half of the fly. No hassle. If rolled the right way both vestibules can still be stacked out. It also supports two kick stand vents for moisture reduction. 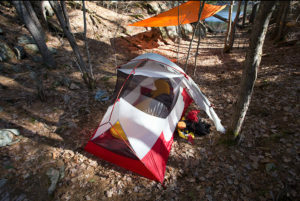 Overall this tent has more then adequate function and livability for two people to comfortable spend the night or take shelter during a day of rain. As expected when cutting down weight you sacrifice durability. The pole structure sets up quickly and is a one unit design. 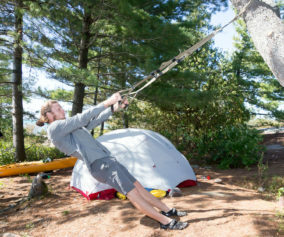 However the single pole design provides little pole intersections which increase the durability and strength of the tent. This is not an issue unless very strong weather occurs. 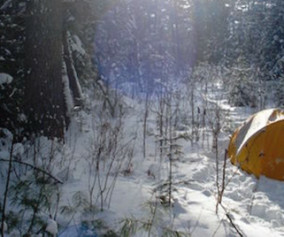 Snow for example would easily collapse this tent if not shaken off every few minutes. 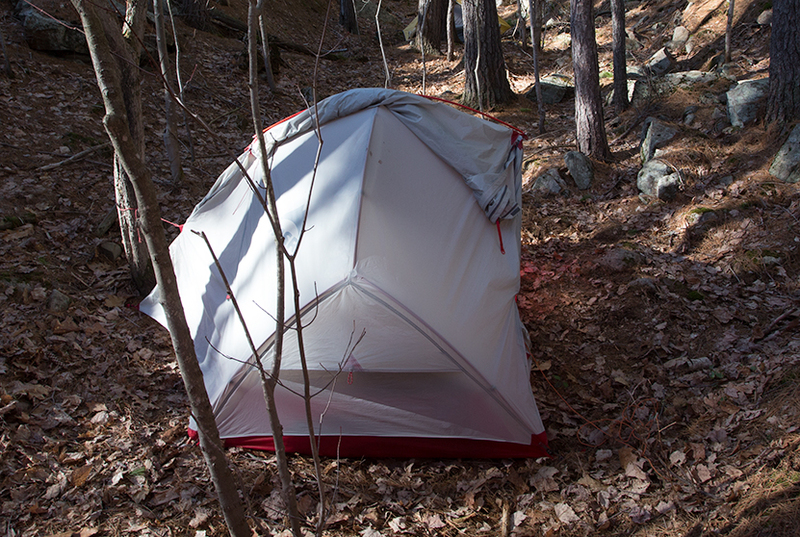 A strong wind may also be an issue as the tent comes with little guying points to prevent this. It is advised to include extra guying lines as MSR does not include very many. 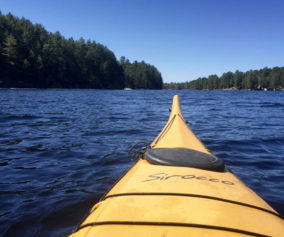 On a trip paddling Georgian bay which is renowned for heavy winds I had to take the extra lines from my tarp and guy out the tent anywhere possible. Another issue that was noticed on this trip was the large gap between the end of the fly and the ground which is difficult to close. The wind kicked dust up and blew it into the tent its self via the gap between the fly and ground. To get around this I used wet bags and laid them on the largest gaps only because my camera gear was inside the tent. The large gap however is very effective for ventilation! The fly material appears to be very good at rain repellence in light to moderate showers but I have yet to have it in extreme rain of more then a few hours. 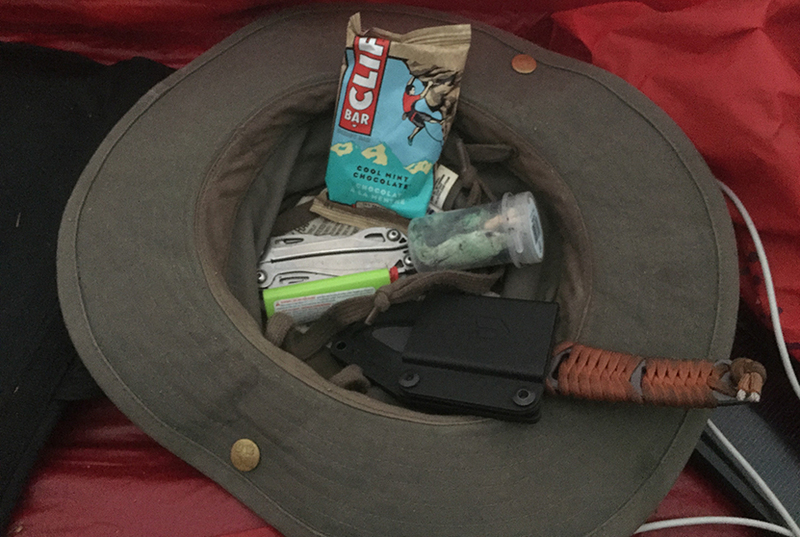 Other reviewers have stated no issues with the 20-denier nylon ripstop material. 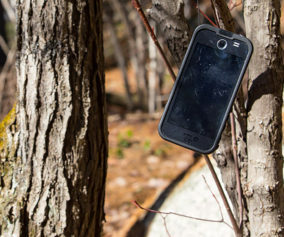 The provide tent pegs do the job in hard soil but are not long or thick enough to do much in soft or mossy ground where there is little to bite on.